Dr. Ashraf is a visiting, American trained and board-certified ophthalmologist and LASIK surgeon specializing in corneal and refractive surgery, including laser vision correction andIntraLASIK, the most advanced procedure available. One of the most experienced LASIK surgeons in Dubai, Dr. Ashraf, uses the Bausch and Lomb Zyoptix excimer laser and the most advanced iFS Advanced Femtosecond laser. He has personally performed more than 40,000 LASIK surgeries in the United States and Dubai. As a fellowship-trained corneal specialist, Dr. Ashraf also has extensive experience in corneal transplantation, cataract surgery and anterior segment microsurgery. After completing his medical degree at the Medical College of Ohio, Dr. Ashraf went on to the National Clinics of Health in Bethesda, Maryland for a one-year eye research fellowship. He completed his ophthalmology residency at the George Washington University in Washington D.C., and then went on to Johns Hopkins University for advanced training in corneal and refractive surgery. In 1996, after completing a corneal and refractive surgery fellowship at the world-renowned Wilmer Eye Institute at the Johns Hopkins University, Dr. Ashraf remained on staff as assistant professor of ophthalmology. His duties included not only performing surgery, but also teaching other doctors how to perform microsurgery and refractive surgery. His surgical experience not only includes the correction of natural refractive errors, but also restoring damaged eyesight caused by trauma or previous surgery. 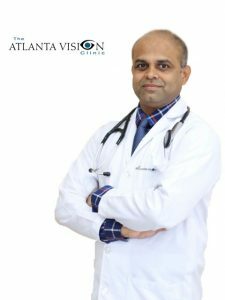 After relocating to the Atlanta area, Dr. Ashraf founded the Atlanta Vision Institute and later the Atlanta Vision Clinic in Dubai to offer world-class eye care. Dr. Shashikant Shinde, MBBS, DOMS, MS.
Before moving the Dubai, Dr. Shashikant worked in Ahalia Foundation Eye hospital which is one of the largest tertiary eye care centers in South India for 4 years. 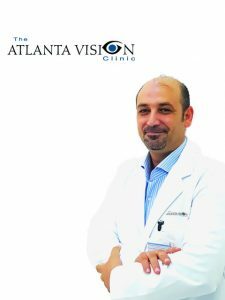 Since 2014 he is working under the supervision of Dr. Farooq Ashraf at Atlanta vision clinic Dubai. Dr. Elias F. Jarade is a graduate of Harvard Medical School with 2 certificates of fellowship in cornea and refractive surgery from the Eye Center and Eye Foundation for Research, and The Massachusetts Eye and Ear Infirmary, Harvard Medical School, Boston, USA. Dr. Elias is heavily involved in the practice and research of cornea and refractive surgery and cornea transplant and he has to his record more than 50 scientific internationally peer reviewed papers and chapters. 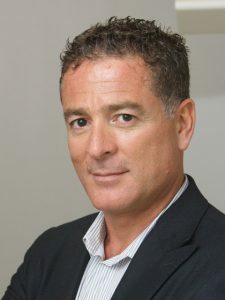 Dr. Elias performed more than 10,000 refractive surgeries and he pioneered the new methods of accurate corneal power measurement after LASIK surgery (Jarade’s formula) and the development of news refractive surgery technique (IntraLase assisted IC-LASIK) for the correction of high myopia. Also, he discovered and published a new treatment for a blinding complication after LASIK (Grade IV DLK). In addition, Dr. Elias is a pioneer in keratoconus treatment and he is the founder of the new concept of mathematical analysis of corneal remodeling and new nomogram for ring implantation in keratoconus. Avril is a qualified Optometrist from India, The Lotus College of Optometry and has completed her fellowship at L.V Prasad Hyderabad. She has been practicing optometry since 2006 and has vast international experience including India, Australia and Dubai. 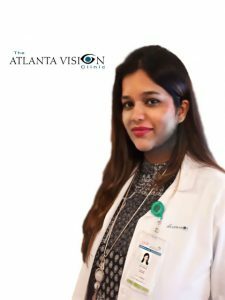 She has been working with Dr. Farooq Ashraf at the Atlanta Vision Clinic, Dubai since 2014, along with refraction and contact lens fitting, she has special interests and has been fully trained in pre-op examination for LASIK, intra-operative and post-operative care. 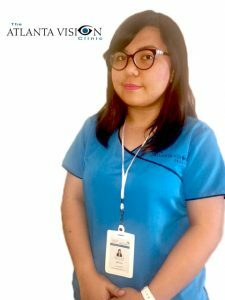 Kathleen Joie E. Bocalan, RN, DHA, HAAD earned her bachelor degree of Science in Nursing in the prestigious St. Joseph College Amaya in 2013 from Philippines. With the awards Best Operating Room and Academic Distinction Award. She passed the Philippines Nursing Licensure Examination and DHA Examination in Dubai, UAE at the same year. She continued her professional career as a Registered Nurse in Dubai Clinics and already has four years' experience specializing in Ophthalmology. Abd Alhamid is a qualified Optometrist from Syria, graduated from Damascus University in 1997. He worked in Daraa National Hospital, Syria 1997-2002. He has been practicing Optometry in the United Arab of Emirates since 2002-2016. And now he is continuing his professional career as an Optometrist in Atlanta Vision Clinic in Dubai and Al Ain City.